Online games such as Runescape offer a world of imagination. Possibility is the keyword. Virtual items are virtually free to produce, yet players will spend real money on them. But what do they really want? Is it the items or the experience of this immersion in possibilities? Imagine a possibilityscape, as a gravity well, as more players gravitate together more connections are possible, more experiences are possible. Feuds can erupt, love affairs can flower, stories bloom like fractal flowers. What happens when the possibilityscape divides? Let's begin before the beginning. Cells divide. Division isn't necessarily a bad thing. Ultima Online divided into Trammel and Felucca. Which was a divide along PvP lines, players left the Felucca (PvP) servers to set up their player towns in Trammel when the update occurred. Ultima Online has player housing in the world, so players had set up player towns and vendor homes with well established businesses. This all changed with the division. Player towns couldn't be rebuilt as everyone was competing to set up new houses, unlike Runescape's individual housing you have to find a suitable spot in Ultima Online. It is one of those unquantifiable things, the feel of the game changed, it was safe in Trammel everywhere. Unlike before the split where you were only safe in towns and your house and even then not safe from thieves. Some player division seems to work, World of Warcraft has the famous division of Horde and Alliance. Which is a fantastic structure to hang player created conflict from. Us versus Them has always worked well as a cohesive force for communities. Politicians use it to rally people to war in real life. 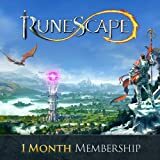 Runescape was divided this year along the lines of the newer update of Evolution of Combat and a five year old version of Runescape, called Old School or 2007scape. Interestingly players have taken onboard an Us versus Them attitude in some respects. I think what causes that is players are worried that the other was causing harm to the future of Runescape so out of that concern take their emotions out on each other. Not helped by the fact that Jagex doesn't talk much. I imagine to avoid being yelled at, so players yell at each other. Which is effectively leading to the same result for Jagex, players leave. Because yelling and screaming isn't fun. Interestingly 2007scape was voted on, and took in 450,000 votes, which makes it the most popular Runescape update ever. Not a good sign, that going back in time five years earned that honour. However the split did some good in the short term. It hauled in the various private 2007 servers were being built and I suspect Jagex told a bit of a lie and said they only had a 2007 server copy, so that they could avoid further division and the 2007 servers would also serve to keep players that were unhappy with EoC. But this is not the only division Rune Scape has. Runescape has a few divisions. These are player and Jagex created divisions mainly, but there is at least one other interesting one. The Wilderness is a geographical demarcation, this division marked by boundaries in the game. That division acts as a PvP switch, so players can choose to go into danger. This area acts to provide a frontier for players that don't PvP. In a way that's good, it is like having a real Wild West again. For PvPers it becomes an area where anything can happen. A swarm of enemy players could be just over the horizon, or their partner could backstab them. It's an adrenaline pumper. Those who can remember the removal of PvP from the Wilderness, will recall the utter emptiness of emotion when entering the area after the change. There were people enjoying the temporary fun of wearing Party Hats into the wild with no fear. But that lack of fear drove a wedge into the heart of game, the geographic division meant nothing. The Wilderness became an emotionless Wasteland. Are we united in our divisions? It seems we must get joy from division. Why would we do it if we didn't enjoy the bickering over differences? Perhaps Jagex is trying to harness that need for division with their gods warring. Sort of a delayed copy of WoW's Alliance and Horde division. Perhaps if Jagex responded to players in a better fashion players wouldn't bicker amongst themselves over posting ban appeals on forums being a good or bad thing. That division of opinion wouldn't even see the light of forums. But that sort of bickering may arise from societal factors, like different cultures leading to misunderstandings or even exposure to media which tends to confrontational and divisive Yes/No dialogues. There is an opportunity here for Jagex to help show players how they would like discussion, rather than just say it be "constructive". Jagex has created some of the divisions. High Level Forums are one. But there are others that are trickier to tease out. For example newer players will never be able to be number one in high scores. There is a permanent wall of time dividing them from that possibility. Which is one reason why Jagex removed freeplayers from high scores and also introduced seasonal high scores. It's a move to include new players in the possibilities of Runescape, including competing on high scores versus other players. How Jagex measures player happiness. We have a strong indicator how Jagex measures a content playerbase, on 2007Scape at least. If 70% of players vote for an update, it passes. So a 30% dissatisfaction rate is alright. Which seems quite reasonable for Runescape, one can always count on at least 1% of people to be unhappy with something on the internet. Given Runescape's riven nature on top of that, 30% would be as good as it gets to be workable. But what do they think an unhappy update is? When 700 players are on Recent Updates posting on update night? One could be led to believe that they don't really measure how divided players are over an update. Not quickly at any rate, and by quickly I mean days not months to react in. We need a better way to get big issues fixed faster. One thing that we are not divided on. We all have a deep emotion for Runescape; it may be sadness, it may be happiness, it may be fear for the future. If we didn't have that feeling we wouldn't be here. In all the possibilityscapes of Runescape's future we will NEVER be fully united, but that's good, we do need that division. We grow from our arguments with each other. But we need it better structured in Runescape. It's critically important to understand how to talk to customers. Sometimes it doesn't quite work.